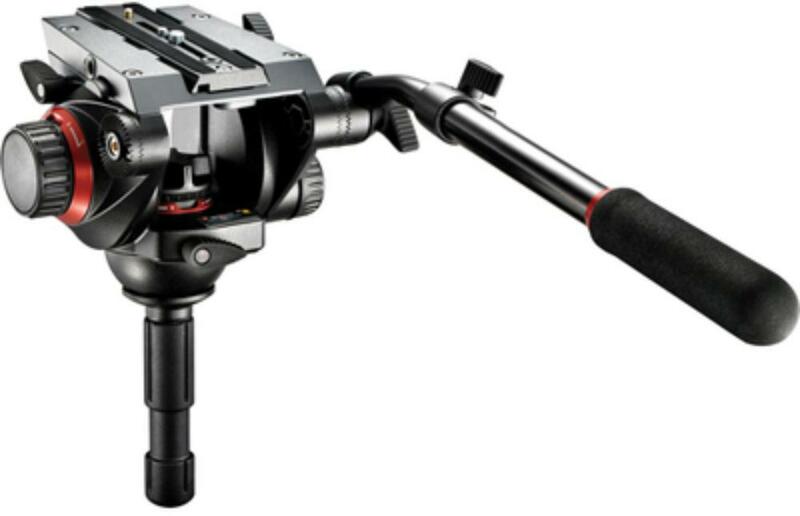 The Manfrotto 504HD Fluid Video Head features a 4-step counterbalance system, a ball bearing drag system, and a unique "bridging technology" that sports a wider top plate and longer sliding plate for greater stability. It has a -60° / +90° tilt range and 360° pan range. Please note that this head is only compatible with 75mm bowl mount tripods unless you use an adapter to apply it to 100 bowl mount tripods, such as the 75mm to 100mm Bowl Adapter Ring.